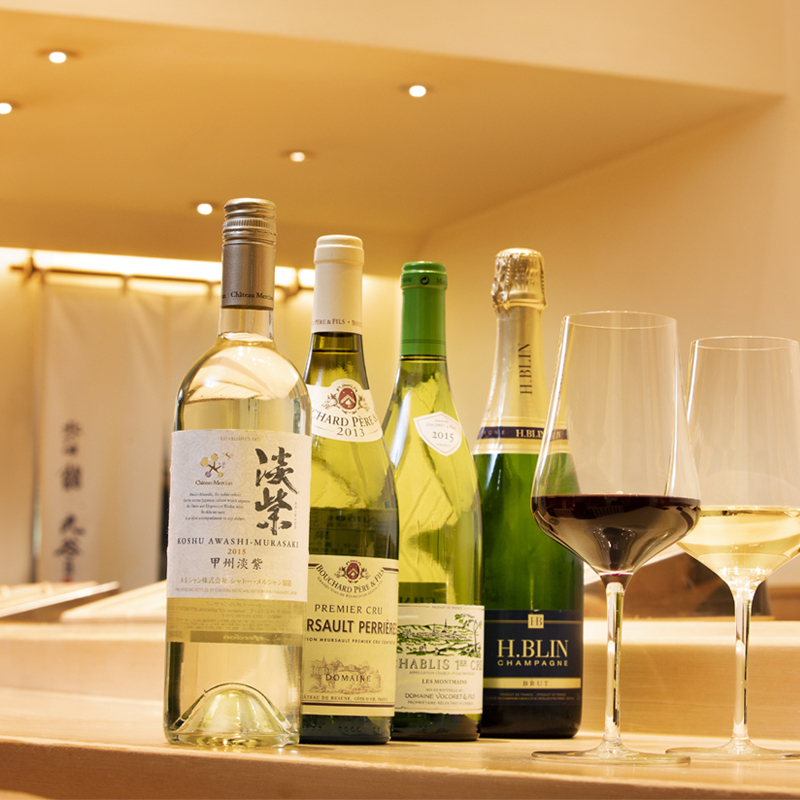 Our Sommelier, Takeshi Chida mastered the basic knowledge of wine at an well-established restaurant “La Chance” before working at “RESTAURANT HIRAMATSU” as a Sommelier. 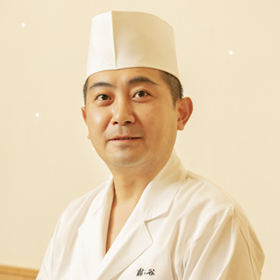 After HIRAMATSU, he worked for “Enoteca Pinchiorri Odaiba” as a Chief Sommelier. Then, he worked for a Japanese traditional restaurant and deepened his knowledge about the composition of Japanese ingredients and wine. “A red type of brewed vinegar used at Kutani is suitable for wine because the vinegar leaves more mellowness and umami (savory taste) than other ones in your mouth” said Chida. He recommends excellent wines and Japanese Sakes collected from all over the world which can enrich the flavor of Sushi and Tsumami. © (日本語) 鮨 九谷 All Rights Reserved.